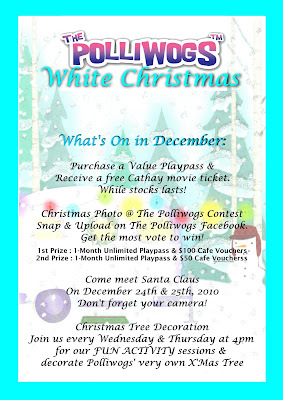 The kids will love the fun activities planned at The Polliwogs this festive season, including Xmas tree decoration every Wednesday and Thursday at 4pm. Santa Claus will be visiting on Christmas Eve and Christmas Day (24-25th December) so don't forget your camera! 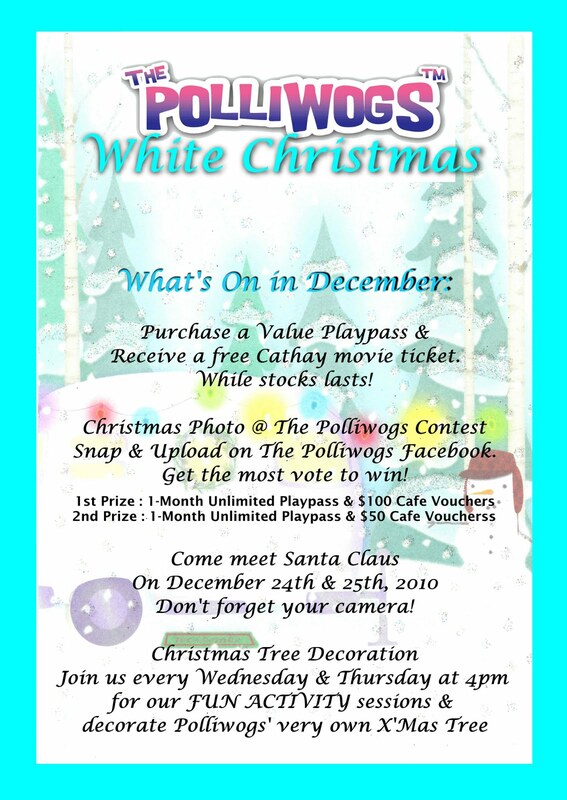 Join The Polliwogs' Facebook Fan Page here: http://www.facebook.com/group.php?gid=82737441609 and start uploading your favourite Polliwogs snaps for a chance to win great prizes. Christmas activites will run until December 31st so please visit the Polliwogs website for more information on this premier play centre.